One of the best things about the summer, in my opinion at least, is all of the fresh produce that abounds. One of the best ways to do take full advantage of this is at one of the many Farmers Markets that pop up all over the city during these months. Local farmers gather their goods and set up stands at different locations a few times a week. Its a really wonderful way to scoop up fresh, beautiful fruits and vegetables at a fraction of the cost of grocery stores. 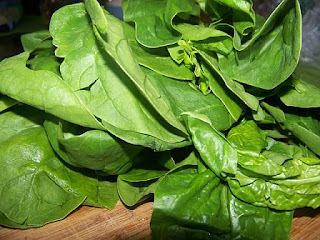 Case in point, last night I picked up several gorgeous bunches of spinach for just $1.30. You can't beat that in my opinion! 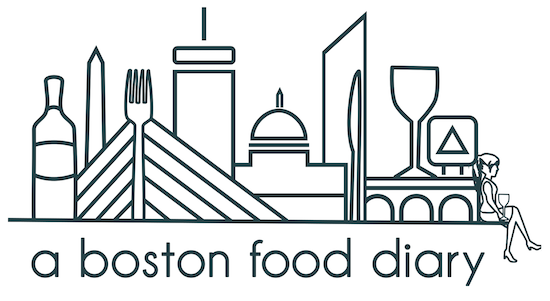 For more information on these farmer markets please visit Mass Farmers Markets for times and locations. After picking up my spinach, I started dreaming up what I could make with it. Since I have recently been trying to cut down on my carb intake, many of the dinners I have been making have been carb and starch free. Sadly my normal dining companion isn't always as on board with the plan, so I decided to add in some carbs last night. When I was growing up, I always remember my mother telling me about her Christmas Eve tradition of eating a pasta dinner with just olive oil and walnuts when she was little. I was never particularly impressed with the idea of this dish, and always preferred our seafood entree on Christmas Eve. Recently though, I have been curious about this flavor combination, so I decided to put my own spin on it. I stopped into the markets and picked up some of the new Ronzoni Smart Taste (Ronzoni Smart Taste) pasta, elbow macaroni to be exact. I figured that if I was going to eat pasta, it might as well be good for me pasta right? Loaded with Fiber and Calcium, but with the same white flour taste as regular pasta, this was sure to be a hit. I also picked up a small container of walnuts (loaded in omega-3s), a nice green Granny Smith apple, thick cut bacon (no nutritional value whatsoever I know) and a small block of parmesan cheese for grating. 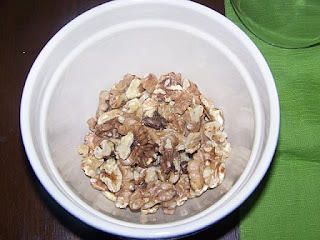 Back at home I first toasted a handful and a half of the walnuts, just to get their juices flowing. I set about a 1/4 of the box of pasta boiling in salted water. Then I chopped three small cloves of garlic, half the apple, and two slices of the bacon. After removing the walnuts from the pan, I set them aside and added the bacon to the same pan and let it do its thing and get nice and crispy. 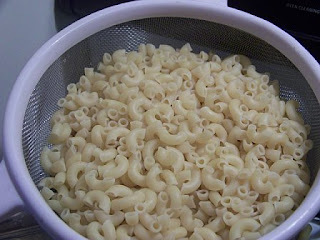 While that was going on, the pasta had reached its al dente state, and so I drained it quickly, and put it aside. 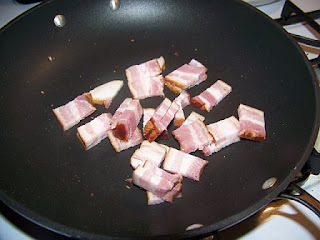 When the bacon was done, I pulled the pieces out of the pan, drained them on a paper towl to get rid of excess fat and poured 98% of the leftover fat down the drain. I left the remainging grease in the pan and added the chopped garlic. Once that cooked through, I added the apple, a little salt and pepper, and then the pasta. Then I started slowly folding in the large leafs of spinach. Once it had wilted nicely, I added back in the bits of bacon and the walnuts and mixed it all together. A little sprinkle of Parmesan cheese over the top-and it was done. Now granted, the bacon probably killed all nutritional value of the dish, but wow was this good. 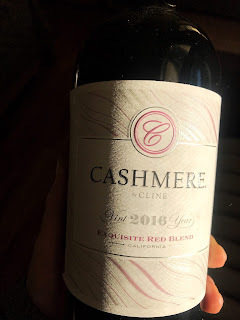 The smoky flavor from the bacon traveled throughout the dish, and was just broken up by the quick bursts of sweet apple. 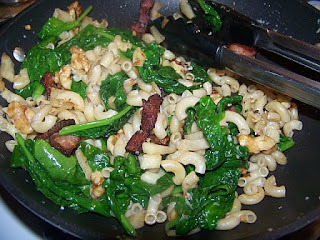 The spinach was as gorgeous as I though it would be, and the walnuts went really well with the pasta. Needless to say, this was a huge hit, and really did "hit the spot" as well after a long day! Thanks Mom for the back bone idea! !